Design, Technology, and Management | Department of Drama, U.Va. 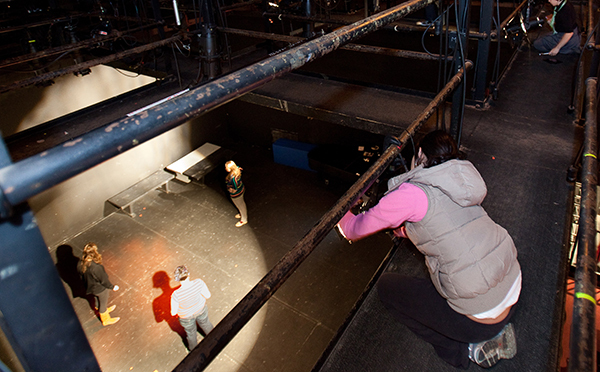 The BA in Drama offers you the opportunity to explore every aspect of theatre arts! Grounded in the theatre art of both the performer (DRAM 2020 Acting 1) and the development of a sound creative process of making theatre (DRAM 2010 Image to Form), you can fully immerse yourself in Design, Technology, and Management. 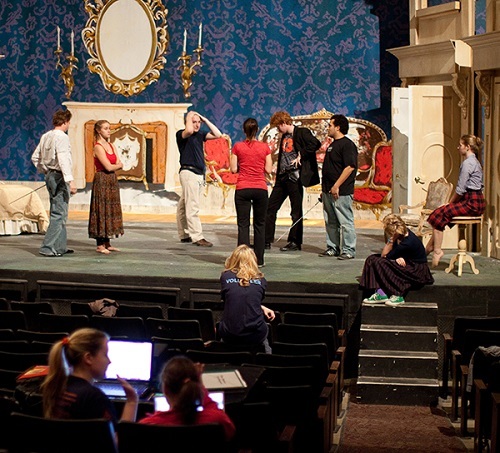 Professional, working theatre artists/scholars make up the faculty in scenery, costume, lighting, sound, and production management fully supported by our graduate students. Courses offered in all these areas, ranging from basic principles through full application to production, prepare you through experiential, hands-on projects. In DESIGN classes and laboratories, you will learn to translate the play script to the 3D visual/aural world of the play. You will learn the basic skills and principles through paper projects which carry you into script analysis, research, drawing, drafting, color painting, model making, light and sound plots, and cueing. Each discipline teaches you professional industry standards of practice. Advanced coursework provides intense preparation and opportunity for your realized designs to be part of our production season before an audience. In TECHNOLOGY classes and laboratories, you will learn how to translate the design to to the stage through the hands-on experience of actually making. This includes building, painting, and finishing scenery; creating props; cutting, sewing, and finishing costumes and accessories; hanging, focusing lights, wiring sound equipment, and operating control boards. These skills support our production season where you will see your projects on stage. In PRODUCTION MANAGEMENT classes and laboratories, you will learn all aspects of leadership, responsibility for preparing for and recording all aspects of the rehearsal process, the role of each design and technology position, skills in collaboration and communication, preparation of detailed paper work and the development and execution of the production process from auditions through rehearsal, dress/tech and performance. Professional standards guide your laboratory work in fully realized production on our stages before an audience. Through the art of theatre, we provide you every opportunity to fully explore creative problem solving that is the foundation of making theatre and developing strong leadership skills necessary for a successful future. Design, Technology, and Management. Your faculty is ready and waiting to introduce you to the possibilities that await you, discuss your passions and enthusiasms, answer your questions and get you started.